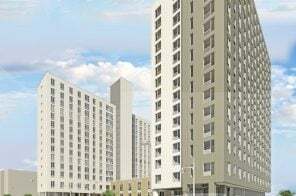 According to U.S. Census Bureau information released Thursday, the number of people moving into New York City’s five boroughs has fallen for the first time in decades, the Wall Street Journal reports. The city’s population saw a drop of 0.47 percent to 8.4 million–still the highest of any U.S. metro area–between 2017 and 2018. And more people left than arrived: International migration dipped, lowering the city’s population in 2017 and 2018. Overall, cities in the nation’s south and west saw the biggest population growth, with the area that includes Dallas, Fort Worth and Arlington seeing the most growth of any metropolitan area. 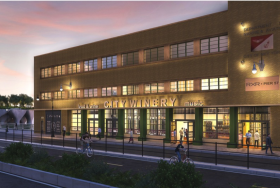 Rendering courtesy of City Winery/Fox Greenberg PR. 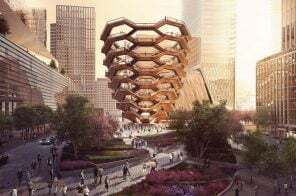 After much anticipation, Tribeca venue City Winery recently announced that it will leave its 10-year home at 155 Varick Street for a new 32,000-square-foot space at Pier 57 in Hudson River Park. The Pier will be anchored by Google and occupies a highly visible location at West 15th Street. The venue has just released renderings of both the exterior and the inside of the new space. 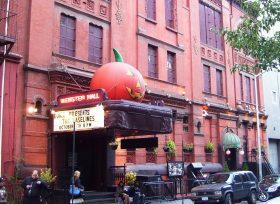 The historic East Village music venue Webster Hall is scheduled to reopen on April 26, 2019 after being closed for nearly 19 months for renovations. The concert hall was first opened in 1886, making it New York’s oldest still-operating venue. According to AMNewYork, the Marlin concert room, Grand Ballroom and studio space have had a complete overhaul; the venue, which was acquired by Brooklyn Sports and Entertainment and AEG Presents (parent company of The Bowery Presents) in 2017, has announced a reopening concert featuring Jay-Z performing “The B-Sides,” as well as a month of notable shows that will include Patti Smith, MGMT, Built To Spill, Sharon Van Etten, Broken Social Scene, Real Estate and more. 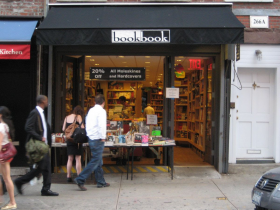 Independent Village bookstore Bookbook–born Biography Books–at 266 Bleecker Street will be closing its doors on May 15, according to owners Carolyn Epstein and Charles Mullin, who say a rent hike was the final straw in the shop’s 35-year run. The shop was known for its packed bookshelves and browsable book table beneath an outdoor awning. The book-selling pair plan to pop up at various locations, including the Abingdon Square Farmers Market in the neighborhood–but you won’t find them selling books online. 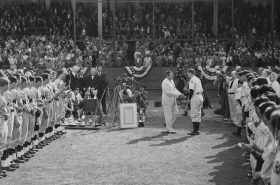 Photo credit: Jonathan Blanc / NYPL. 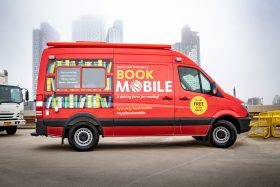 It’s National Library Week, and the New York Public Library has taken the opportunity to announce that it will be expanding its presence in New York City’s neighborhoods this summer in the form of three new bookmobiles. The mobile libraries are headed to communities in the Bronx, Manhattan and Staten Island. 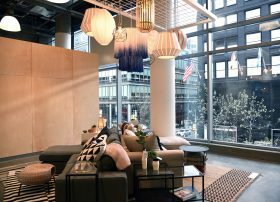 Photo Credit: E’lisha Holmes for IKEA U.S.
There’s a new IKEA in town, right in the middle of the Upper East Side at Third Avenue and East 60th Street; The new IKEA Planning Studio opens to the public on April 15. Here’s a snapshot of what to expect from the store’s urban-focused sibling. It’ll be a little different from the other IKEA locations; you’ll be able to browse inspirational room settings focused products and solutions suited for city living and get free home design planning assistance. 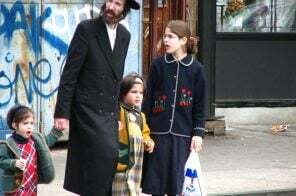 Jake Dobkin was born in Park Slope 42 years ago, and over those years he’s never left New York City for longer than 10 weeks. In 2003, he co-founded the website Gothamist with Jen Chung, which emerged as a popular culture and entertainment blog about all things New York. In the summer of 2013, Dobkin decided to channel his native knowledge and newsroom snark with the column Ask a Native New Yorker. The first installment addressed a question to make any New Yorker shudder, “Is It Normal For Roaches To Crawl Through My Hair At Night?” Since then, he’s tackled everything from amusing annoyances of city life to more serious issues like homelessness, gentrification, and who deserves a seat on the subway. 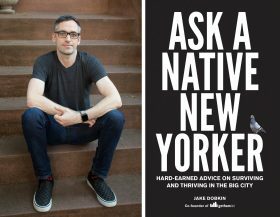 Dobkin ultimately adapted “Ask A Native New Yorker” into a book, which was just released a few weeks ago. Titled Ask A Native New Yorker: Hard-Earned Advice on Surviving and Thriving in the Big City, it contains answers to 48 new questions on New Yorker’s minds including if public transit will be messed up forever and why we complain so much. 6sqft spoke with Dobkin on why he started writing the column, how it’s changed over the years, and what’s ahead with a new book and Gothamist under the new ownership of WNYC. He also shares the best place to find a peaceful spot in the middle of the city. 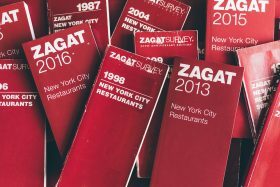 For the first time since 2016, the Zagat New York City Restaurants Guide will be printed later this year, just in time for its 40th anniversary. The iconic burgundy paperback launched in the 1980s and quickly became a gold standard for restaurant reviews, spreading to other cities in the US and beyond. The family-owned company was acquired by Google in 2011 for $151 million, moved to an online platform and stopped publishing books altogether. Zagat.com was bought by the Infatuation—a restaurant rating and guides platform—last year, with the goal of rebuilding the brand. News of the upcoming 2020 edition is a sign that the “Burgundy Bible” is coming back into relevancy. You can be part of the ranking process! If you’re in Chelsea and you get the urge for an acai bowl or kombucha on tap, but battling shopping carts at the nearby Whole Foods wasn’t part of your plan, you’re in luck. The good-for-you grocery chain just sprung Whole Foods Market Daily Shop on the neighborhood. 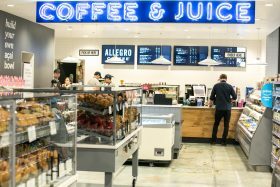 The new grab-and-go concept shop from Whole Foods Market brings Gotham Greens, Balthazar bread, New York Bagels, Doughnuts from Dunwell and Dough, Lillys cookies, and more to a corner spot at 7th Avenue and 25th Street next to the larger Whole Foods Market. You’ll also find ways to lift your afternoon slump like Allegro Coffee, seasonal kombucha on tap, and self-serve acai bowls.